Don't feel that cutouts and sod are practical, yet at this point I'm into seeding maybe come Sept after the weed control wears off...should I pull this stuff and hope that the crawl of the grass will overgrow it? (though in areas won't leave much) Spot treat the area? What? Spray it with 2 4d. It will kill the broadleafs & not harm your grass. Since I just applied 'step 1' two days back, think I should let it sit til after showers come later today and tomorrow? Have a feeling most of this weedstuff was dormant in soil from last year. After clearing a bunch of honeysuckle out too. Last edited by artinall; 03-28-2019 at 02:05 PM. I would seed it now before it gets really hot and the weeds take off. Don't even wait a day longer. Rake it in, keep it wet, and resist the urge to cut it too low. Can't. Weed control is down. Will kill it off. Or just mow it higher than the newly emerging grasses. 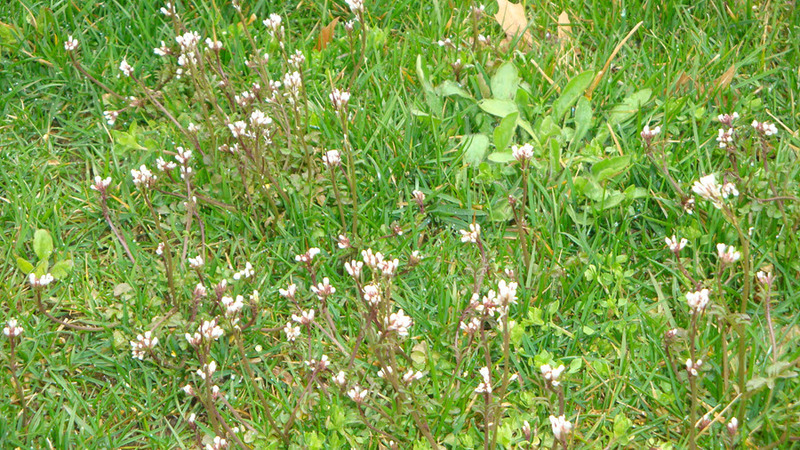 Annual weeds are easily controled with mowing. Or just spray with 2 4D. Try to remove the weed manually (if that is possible). Thereafter, spread the weedkiller in the lawn. After few weeks, mow the overgrown grass. Mowing controls weed growth.